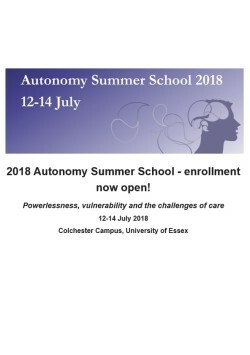 The Ethics of Powerlessnessness team will be taking part in the 2018 Autonomy Summer School from 12-14 July 2018. The Ethics of Powerlessness is a research project based in the School of Philosophy and Art History at the University of Essex. The project started in July 2015 and will run for three years. 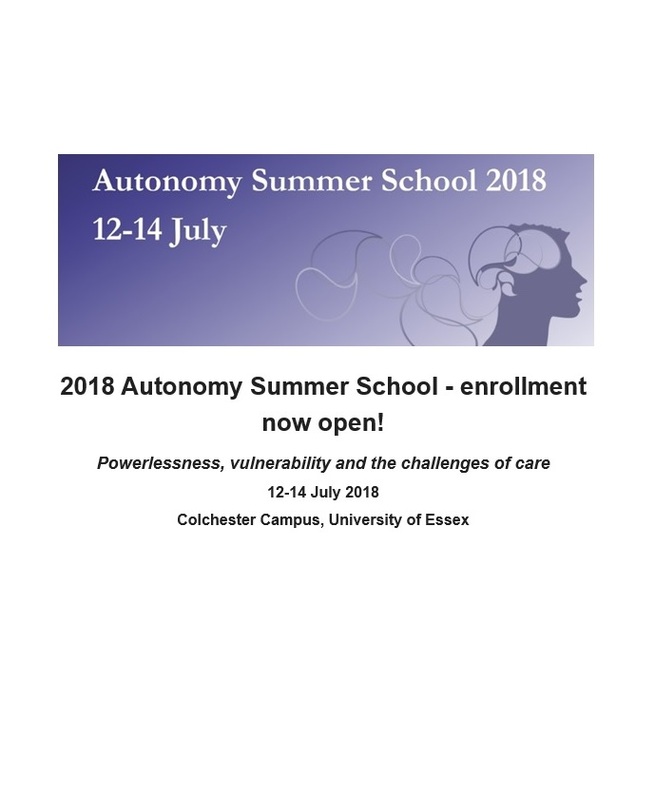 Our aim is to clarify the ethical challenges that arise from human experiences of powerlessness, especially in contexts of palliative and end-of-life care. Queries about the work of the EoP should be directed to Prof. Béatrice Han-Pile, Dr. Daniel Watts or Dr. David Batho. Our 2018 end of year conference, ‘Virtues of Powerlessness? 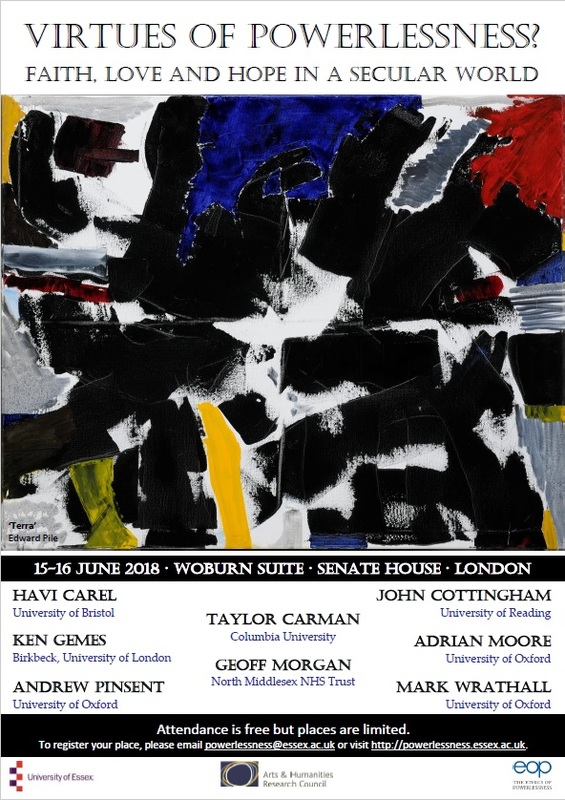 Faith, Love and Hope in a Secular World’ took place at Senate House, London on Friday and Saturday 15th and 16th of June, 2018. 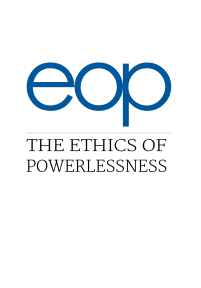 Béatrice Han-Pile, our principal investigator, has given an interview about the Ethics of Powerlessness for David Maclean in IAI news.